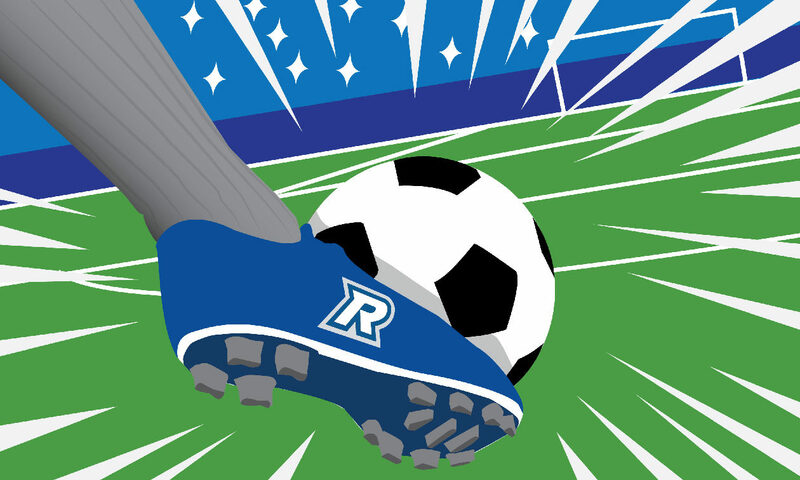 The curse of the Final Four has plagued the Ryerson men’s soccer team for seasons, but this year’s team may just be the one to lift it. For the past four years, the Rams have reached the Ontario University Athletics (OUA) playoffs only to have their season end at the Final Four stage and lose a shot at the national title. Currently, the Rams are ranked fifth in the country and first in the OUA East division. Ryerson has 12 first-year players on the roster alongside an OUA top-five goal scorer and some returning talent. The Rams stand three points ahead of the Carleton Ravens in the OUA East. Currently, the Rams are undefeated with 10 wins and one tie from a game against the Ravens. The tied match on Sept. 9 was the Rams’ first scoreless game since their 3-0 Final Four loss to the Guelph Gryphons in 2016. Last year, Ryerson had its undefeated regular season taken away after their first six games were forfeited because a player failed to meet academic requirements. One of the games forfeited was against the Ravens. The memory of last year and the team’s willpower to succeed in the Final Four this season could be just what the Rams need to finally beat the curse. Captain Abdallah El-Chanti is the second leading OUA scorer with 10 goals so far this season. He is also tied for second in goals scored in all of U Sports. He says he sees a fresh spark in this year’s team. According to El-Chanti, the “hunger and determination” sets this team apart from last year’s. With an eye on the prize and a care for his teammates — especially the rookies — El-Chanti said he wants to lead by example. He also said he wants to be the first captain to get the men’s soccer program to an OUA title. He said the most critical time to show his leadership will be playoff time. Filip Prostran, the head coach of the team, said the group lost some key leadership and experience from alumni like Nick Lambis, Misel Klisara, Kyle Stewart, Praveen Ahilan, Ahmed Zabian, and Greg Wise. The example set by players in previous seasons has helped shape the culture of the current team. 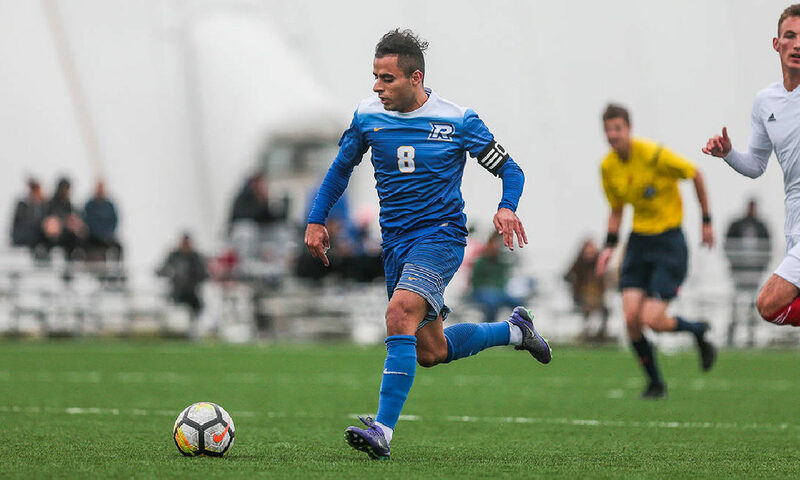 Returning to the Rams is veteran midfielder Raheem Rose, the only player on the roster who has been through Ryerson’s four consecutive Final Four losses. He admits this makes him “feel like a grandpa” on the team. Rose said that in previous years, he had been apprehensive when bench players came on the field. He was worried the inexperienced players would not be able to carry the team. This season, the fifth-year player said he is not concerned with their quality of play. “I don’t like them personally, but when I wear them the guys think I’m at my best in terms of leading. It’s so weird,” he laughed. Rose added that in previous years he led with his game on the field, but now he is working on being more vocal and helping the rookies with their transition to U Sports as student-athletes. Tactically, the Rams’ strategy continues to change. As the season unfolds, Prostran uses the method of “testing, tweaking, and peaking,” where the team starts the season by trying things out, then sets to tweak areas of improvement in time to peak during the playoffs. With only five games before the playoffs, the team is currently in the tweaking stage. Prostran said that the squad is currently working on developing its zonal defence, set pieces and managing the game. “[These are] all things about really understanding different parts of the game — how we need to react and keep our cool or push the pace when needed,” said Prostran. While the new players still have work to do, they will do so with the support of their captain and the rest of their team. El-Chanti said he hopes their determination and readiness to play at all times will help get them through the Final Four. One rookie feeling great support from his teammates is forward Mirza Custovic, who is the second leading scorer on the team with five goals so far. He spent two years at the Toronto Football Club (TFC) Academy and said he hopes to use the skills he learned there in his new position with Ryerson. He said that the academy helped him develop his game and taught him about the professional aspects of the sport. However, he said it has been El-Chanti’s mentorship and the support of his new teammates that helped Custovic successfully transition into university life. With so many new faces on the roster, Custovic finds it helpful to have 11 other rookies to confide in. The last time the Rams went to nationals was in 2013. El-Chanti is eager to help his team reach that stage. With the senior leadership, the ardour of the rookies, and goalkeeper Ali Ghazanfari’s .875 save percentage — the third highest in the OUA— the team continues to focus on the end goal. “I think we’re very eager to get back to where we finished last year, to build from that,” said El-Chanti, referring to their season-ending loss to York’s Lions in the OUA semifinals. The Rams lost to the York Lions 5-4 in penalties. The Lions went on to win gold in the OUA finals. All this will be put to the test in the post-season as Ryerson pushes to reverse the Final Four curse. Ryerson’s next game is against the Carleton Ravens on Oct. 6 in Ottawa.